Skis 8.5/10 - 100 underfoot. some scratches, never seen a core shot, normal wear and topsheet chipping. Currently on their 1st mount. 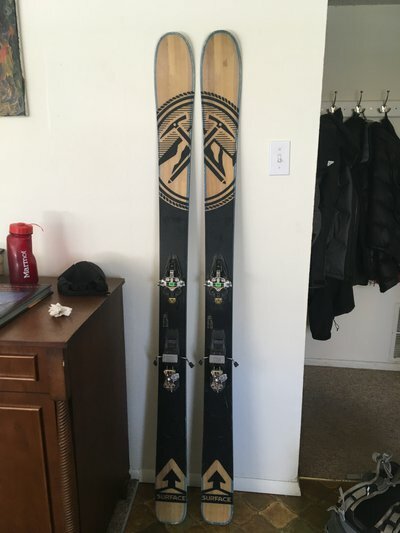 Bindings 9.5/10 - 12 DIN, perfect condition, some superficial scratches. recommended mount for 310 bsl. at least 10mm of adjustment in each direction. Skins 6/10 - glue is super dirty/old but can have skins re-glued prior to sale. still lots of traction. Probably have put 30 days on this setup in the CO backcountry. plenty of life left. 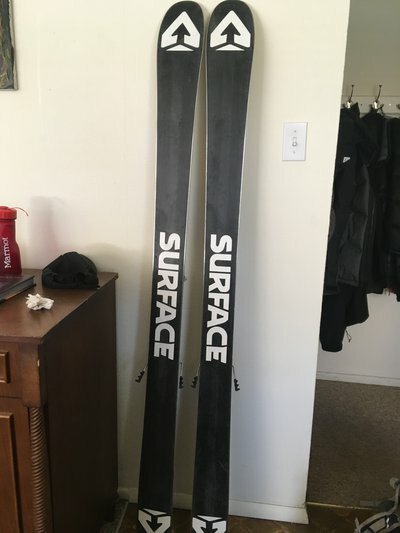 $650 OBO + Shipping -- Located in Aspen, CO.
would throw in boots for some extra cash... 27.0 Black Diamond Slant in red (2013), though they could probably use a new liner as theyve seen some use. lets be honest... these things are old. Trades considered for marker kingpin, or maybe some resort skis in the 100-108 range. Any interest in some on3p billygoats mounted once, and only used one day? supersquid Any interest in some on3p billygoats mounted once, and only used one day?